Do you really know something if you can’t remember it? I had a conversation with a fellow educator on this subject one semester, and we both came to the conclusion that knowledge relies almost exclusively on a student’s ability to remember what she has learned. Proof of knowledge comes from demonstration of knowledge; if you can’t recall a fact, then for all intents and purposes you never learned it. But where does that leave intelligence? Unlike knowledge, intelligence is better defined by process than product. You may know a great deal, but did it take you fifty years or twenty to learn it? You may know how to multiply large numbers, but can you do it in your head or do you need a pen and paper? Intelligence does not require a strong memory, per se; it requires an ability to process and organize information efficiently and to make connections where it counts. Read more about learning strategies in our interactive infographic. But in today’s society, and for many centuries prior, knowledge has been conflated with intelligence, and memory has been largely ignored. True, neuroscience and psychology have only recently begun to shed light on the inner workings of memory and learning. Even so, no one had the common sense to imagine that Einstein or Shakespeare had an outstanding capacity to remember what they’d learned in addition to strong processing skills. This cultural myopia has caused a lot of problems when it comes to learning, teaching, and assessment. Students with strong memories have been labeled intelligent while students with weaker memories have been labeled unintelligent and squandered their potential as a result. Standardized tests measure content knowledge, which relies heavily on memory capacity. Career success depends largely on what a person recalls from their studies, which in many cases has little to do with that person’s professional potential. Good speaking or communication skills have a firm stake in verbal memory capacity, which is frequently determined by genetics. There are countless ways in which our misguided notions of intelligence affect us all for the worse. Check out our article on what does it mean to be intelligent? Conflating memory with smarts is extremely dangerous for anyone who cares about learning. Educators should invest considerable effort in recognizing the difference between the two. And don’t just take my word for it – there’s plenty of science to convince you. Working memory (as opposed to long-term memory) is the ability to hold information in your head and manipulate it mentally. You use this mental workspace when adding up two numbers spoken to you by someone else without being able to use pen and paper or a calculator. Students at school need this memory on a daily basis for a variety of tasks such as following teachers’ instructions or remembering sentences they have been asked to write down. In many cases, they even rely on it more than IQ. A recent article by Tracy Packiam Alloway, Ph.D., award-winning psychologist based at the University of North Florida, investigated the predictive power of working memory and IQ in children over a six-year period. In her study, typically developing students were tested for their IQ and working memory at 5 years old and again when they were 11 years old. They were also tested on their academic attainments in reading, spelling, and math. The findings revealed that a child’s success in all aspects of learning boils down to how strong their working memory is, regardless of IQ score. Critically, working memory at the start of formal education was a more powerful predictor of subsequent academic success than IQ in the early years. This unique finding is important as it addresses concerns that general intelligence, still viewed as a key predictor of academic success, is unreliable, says Alloway. An individual can have an average IQ score but perform poorly in learning. Some psychologists suggest that the link between IQ and learning is greatest when the individual is learning new information, rather than at later stages when it is suggested that gains made are the result of practice.Yet the findings from this research that working memory capacity predicted subsequent skills in reading, spelling, and math suggests that some cognitive skills contribute to learning beyond practice effects. The study also found that, as opposed to IQ, working memory is not linked to the parents’ level of education or socio-economic background. This means all children, regardless of background or environmental influence, can have the same opportunities to fulfill potential if working memory is assessed and problems addressed where necessary. Working memory is a relatively stable construct that has powerful implications for academic success, says Alloway. While working memory does increase with age, its relative capacity remains constant. This means that a child at the bottom 10 percentile compared to their same-aged peers is likely to remain at this level throughout their academic career. At present, Alloway adds, poor working memory is rarely identified by teachers, who often describe children with this problem as inattentive or as having lower levels of intelligence. She says early intervention in working memory could lead to a reduction in the number of those failing classes and help address the problem of under-achievement in schools. Previous research on working memory and academic proficiency support Alloway’s claims. Andersson (2008) found that measures of working memory predicted accuracy in children’s performances on mathematical word problems (Grades 2 to 4) even after variation attributable to intelligence, reading ability, and age differences were controlled. Similarly, Swanson and Beebe-Frankenberger (2004) found that working memory significantly predicted mathematical calculation and word problem solving accuracy in children from Grades 1 to 3 even after intelligence measures were considered. What’s more, this trend has been identified in adult learners as well. In a 2008 study by researchers at Columbia University, students from the University of Bern participated in working memory tasks designed to increase their ability to reason and solve new problems. The researchers conducted four individual experiments involving a total of 70 healthy young participants, 35 of whom performed working-memory training in four different training settings. These training groups were matched to four control groups who did not have training. The crucial difference among the four training settings was the number of training sessions between pre-and-post-tests, ranging from 8 to 19 sessions, with the control groups receiving the pre-and-post-testing at the same intervals as the trained groups. In each training setting, participants trained daily, except for the weekends. The post-test took place at least 1 day after the last training session, with the largest interval being 2 days. The results revealed that all four training groups improved in their performance on the working memory task comparably. Although the gain in the control groups was also significant, presumably because of retest effects, the improvement in the groups that received the apparent benefit of training was substantially superior. The authors of the report conclude that the transfer effect on intelligence scores goes beyond an increase in working memory capacity alone, even though the trained task was entirely different from the initial intelligence test itself. They also demonstrate that the extent of gain in intelligence critically depends on the amount of training: the more training, the more improvement in intelligence. That is, the training effect is dosage-dependent, offering a contrast to many previous studies which claim that it is only possible to improve intelligence while practicing the testing tasks themselves. The finding that cognitive training can improve reasoning and problem solving skills is a landmark result because this form of intelligence has been claimed to be largely immutable, the authors write. Instead of regarding intelligence as an immutable trait, our data provide evidence that, with appropriate training, there is potential to improve it. Considering the fundamental importance of this type of intelligence in everyday life and its predictive power for a large variety of intellectual tasks and professional success, we believe that our findings may be highly relevant to applications in education. The Automated Working Memory Assessment (published by the Psychological Corporation) allows non-specialist assessors such as classroom teachers to screen their students for significant working memory problems quickly and effectively. It is easiest to recall information when you are in a state similar to the one in which you initially learned the material. Urge your students to sit in the same room they studied in when they complete their take-home quiz. Let them listen to music when they complete their mid-term essays if they usually listen to it when they write. A term referring to the process of taking individual units of information (chunks) and grouping them into larger units. Probably the most common example of chunking occurs in phone numbers. For example, a phone number sequence of 4-7-1-1-3-2-4 would be chunked into 471-1324. Chunking is often a useful tool when memorizing large amounts of information. By separating disparate individual elements into larger blocks, information becomes easier to retain and recall. A learning technique that incorporates increasing intervals of time between subsequent review of previously learned material in order to enhance retention. Proven to be significantly more effective than massed repetition (i.e. cramming). One of the most valuable things you can do to help students retain information is to hold weekly review sessions. Go over not only the main concepts presented in the past five days, but also touch on concepts covered multiple weeks or months ago. A mnemonic device used in ancient Greek and Roman times wherein items to be remembered are mentally associated with specific physical locations. Examples include the various rooms of a house and paths through the forest. A great tool to help students memorize terms, related concepts, or anything else that can be placed as an image on a mental map. An item is much more likely to be remembered if it is imagined as being actively involved with another item in some way rather than sitting there doing nothing. When items are intertwined or associated they are said to be interacting and they become a single chunk or whole in memory. An effect in which exposure to a stimulus influences a response to a later stimulus. For example, if a person reads a list of words including the word table, and is later asked to complete a word starting with tab, the probability that he or she will answer table is greater than if they had not been primed. Larry Ferlazzo uses priming with his students before tests, asking them to spend a few minutes writing on a topic covered in the quiz. A graph that hypothesizes how information is lost over time when there is no attempt to retain it. A typical curve shows that humans tend to halve their memory of newly learned knowledge in a matter of days or weeks unless they consciously review the learned material. More cognitive evidence for spaced repetition and weekly reviews of learned material. Forgetting happens fast – don’t just review before the test! The ability to code a stimulus two different ways increases the chance of remembering that item compared to if the stimulus was only coded one way. For example, say a person has stored the stimulus concept, dog as both the word ‘dog’ and as the image of a dog. When asked to recall the stimulus, the person can retrieve either the word or the image individually or both, simultaneously. If the word is recalled, the image of the dog is not lost and can still be retrieved at a later point in time. Staying aware: As an educator, be sure to remain aware of the difference between memory and intelligence and to share this knowledge with your students. When I read Oliver Sack’s brilliant The Man Who Mistook His Wife For a Hat a decade ago I realised just how important memory is for everyone. Without it you cease to function, really. It’s certainly a fascinating subject. As for intelligence, I’d say there are varying forms. Academic smarts vary from self-awareness and outright wit or creativity. I was always useless at maths, but excelled at English. I can’t get my head around Chaos Theory but ran rant pedantically about existentialism. It would be easier if we were all like Da Vinci – skilled in pretty much everything. I love your prospective. I love the entire idea and look forward to learning more. I don’t think memory and working memory are the same thing. I have a good long term memory, and no trouble memorizing information for tests, etc. but hardly any working memory. 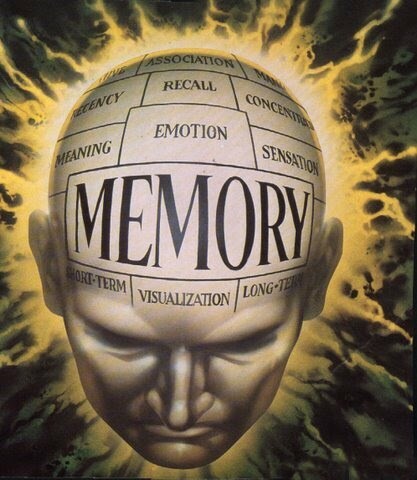 From wikipedia: “Working memory is the system responsible for the transient holding and processing of new and already-stored information, and is an important process for reasoning, comprehension, learning and memory updating.” See? Transient, not long term. Just what you’re focusing on right now. Your tips are about long term memory, not working memory. As a teacher, I teach memory skills but more importantly, I had to apply it during post grad studies. Regular revision works, association works, multi sensory learning works….this is not just theory – it works!